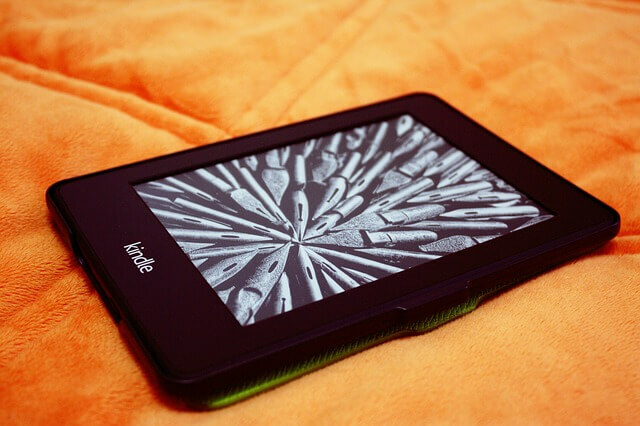 E-book readers, otherwise known as eReaders, have become extremely popular over the past few years. They are the perfect technology for anybody who loves to read. For those who are unaware; an E-book reader is an electronic device which can be connected to the internet so that individuals can download books in order to read at their perusal. As stated, one will need to be connected to the internet in order to download a book to read on their eReader. Therefore it is highly important that anyone who owns an E-book reader or is considering buying one has a wireless internet connection of some sort. If anybody does not, then don’t worry, simply visit broadband sites in order to get this sorted. Once an internet connection has been sorted an individual can then begin to find the perfect E-book reader for them. This article will provide a helping hand by revealing the top eight eReaders that are available online and in stores all over the US at present. The Amazon Kindle Touch is one of the most well-known and well-loved kindles available in the United States and all over the world. An individual should be able to find this type of kindle in stores or on the internet for around $100. The great thing about the Amazon kindle is that it is light and compact, which is exactly what you want from an E-book reader which you are likely to have on the go. What’s more is that this kindle boasts one of the greatest ranges of books, audio books and magazines out of all those available. This E-book reader tends to be a little bit pricier than others on the market, costing approximately $140. However, what one pays for in price is made up by the great benefits the Sony Reader Wi-Fi PRS-T1 entails. The eReader is a lot lighter than rival ones, its design is modern, sleek and stylish, and furthermore it also has a fantastic music playback feature. This E-book reader is perfect for individuals who like to play around with different formats and change the fonts of the books in which they are reading. The modern and tidy design of the eReader is also something which has attracted many buyers. The best thing about this E-book reader is that it is simple. It does exactly what it says it will; provides great books which are just waiting to be read. It is also extremely easy to use thanks to the great quick page turn which is due to the responsive touch screen element. Like the Amazon Kindle Touch, you can expect to find this eReader in stores and online for roughly $100. This E-book reader is ideal for those who are not a fan of the touch screen. It features an easy to use keypad at the bottom of the product. What sets this eReader apart from all the others is its cheap price tag compared to its competitors. The Pandigital Novel 6-Inch Personal eReader can be found for approximately $70. What’s more is that this E-book reader tends to be one of the most durable and long lasting. Therefore, nobody needs to worry about sacrificing longevity by paying a lower price. The Amazon Kindle Fire has taken the traditional E-book reader and gave it an updated edge. The eReader is one which is much smaller than all the other available tablets and its design is based on all things convenient. If ease of usage is high up on the list, then this is the tablet for it! Arguably the most attractive of all the eReaders; this product is perfect for those who like to read in style! Hopefully this article will have at least revealed one eReader that appeals to a viewer. However, remember; you will need an internet connection. Rohit is Tech blogger. He contributes to the Blogging, Gadgets, Social Media and Tech News section on TechZum. The information given in this article is very important to us. I would like to say thanks to you for sharing such information.